It is important to take backup of Windows registry on your computer before making any changes in registry keys. If you have done anything wrong with it, those mistakes may prevent your computer from normal working. If you have a backup file of its current settings, you can simply restore it and recover your PC from issues by wrong editing. 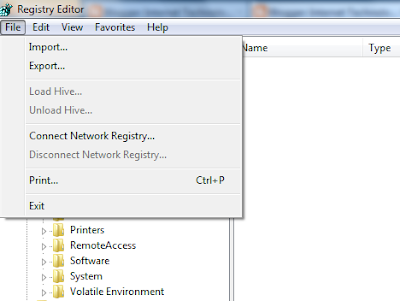 It is the support tutorial for our other windows troubleshooting articles which touch registry editing. So be sure you have a backup of current registry settings before editing it on your PC. Steps to export registry backup and restore registry on a computer are discussed below. 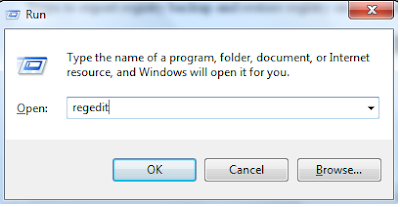 Type regedit on Run and click ok.
Press [Windows] [R] to open the Run window. Click on Export to backup Windows Registry. It is better to save the exported file on the desktop or My Documents and the file saved is in reg extension. To restore the previous version of reg settings on your laptop, go through the steps 1, 2 and click on import in File. The above article covers the basics of exporting and importing current reg settings on a Windows computer. It is a better practice to backup current settings before making any changes to it. It will help you to fix any mistakes done accidentally while editing it. We can change the ways Operating system works from the registry by changing the keys. To learn how to disable USB on a laptop using this method, click on the link below. The above link tells Reg Edit to disable USB on your computer. What if we need to prevent copying files from computer to USB drive without disabling entire port? We can do this by a simple reg tweak. Ensure that you have a backup of current configuration before doing any of the steps mentioned in the below article. The link is provided below. To export the backup file of Registry on your computer we must access Reg Editor. In certain cases, we may experience the issue of blocked Editor. So we fail to download the backup. This can be due to a change in group policy or malware infection. Certain applications installed on a laptop do this as part of the conflict or showing malicious behavior. However, we can remove this restriction by running a simple. In this situation, you can follow the instructions provided in the link below. From the Windows registry, we can decide the time to stop not-responding programs on Windows. To learn more about it click on the link below.